Super friendly owners! Just a few minutes walking from several restaurants and the beach! Bus station nearby if you want to visit the city of Corfu, you can buy bus tickets in the reception of the hotel. 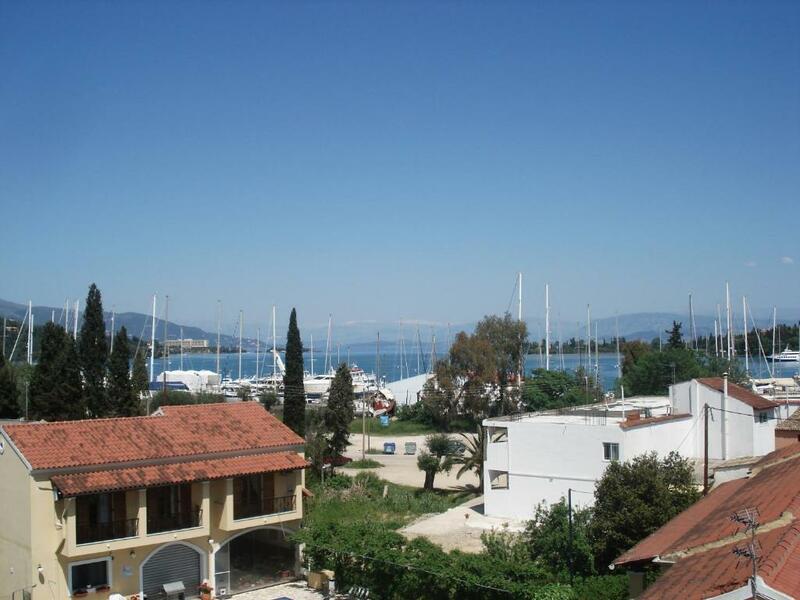 Kalypso was in an excellent location just a 10 minute walk from the centre of Gouvia that has a very good range of shops, bars and restaurants. There is a bar just 2 minutes walk away from the apartments and a small supermarket 2 minutes walk in the opposite direction. 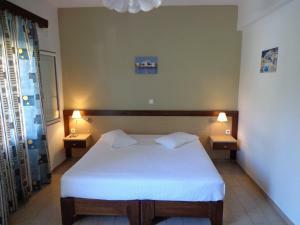 The room was simple and spotlessly clean and the free air conditioning worked well. The free WiFi worked well too. The pool area was a quiet and beautiful enclosed garden. The owners were friendly and helpful. They offered to drop us off at the airport for our flight back and refused to take any payment. A fantastic peaceful and relaxing holiday. The room was perfect, everything you need, lovely big comfy bed. The pool was 15 steps (literally) away, lovely and clean and we were often the only users! It was a little haven of peace and tranquility. Greek accommodation tends to be quite basic but this just had some lovely extra touches. Ideal for couples, just so peaceful. 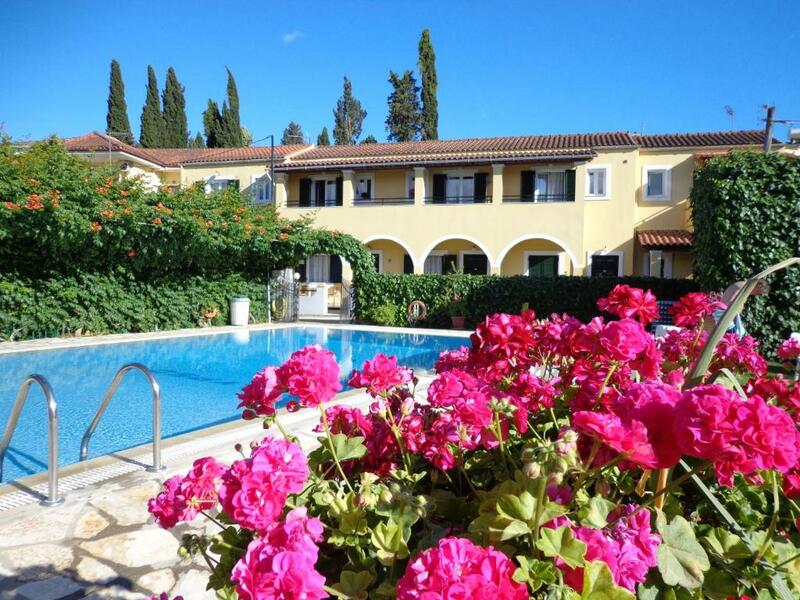 Location of property and proximity of supermarket excellent,smell from the bakers shop next door unbelievable,great pool ,appt cleaned every day,spotless. We can 100% recommend the apartmants!! The place is beautiful and has a very good location: it was very easy to get to know the island by bus from here as the bus stops are 1 minute walk from the apartman. There is a big supermarket and a bakery nearby, the restaurants are also very close. Our room was clean and comfortable. The greatest thing though is the kindness of the hosts - they were welcoming us warmly, gave us good advises, were very flexible about the check-in and check-out times and even helped us getting comfortably to the airport when we left early in the morning. We found the perfect base here to discover the island and to be able to relax afterwards. 10/10! Nice room, upper floor with a double balcony overlooking the pool. Very clean with towels changed every day. Short walk to centre and beach! Owners very nice, organised transfer back to airport. Would definitely stay again! Excellent small hotel, in a quiet and cozy place. 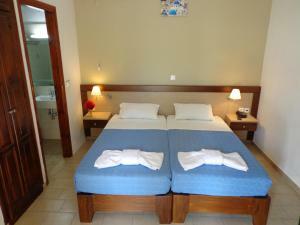 Cleanliness in the rooms, silence and also the hospitality of the owners, a nice couple, will give you a sense of home. 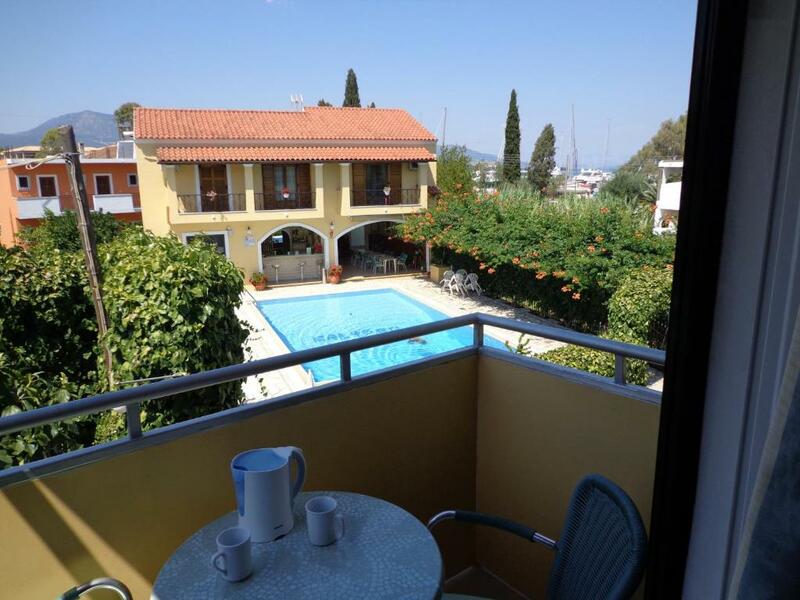 Lock in a great price for Kalypso Gouvia – rated 9.7 by recent guests! Located in Gouvia, and only 1,300 feet away from Gouvia beach, Kalypso Apartments offers modern studios with balconies. 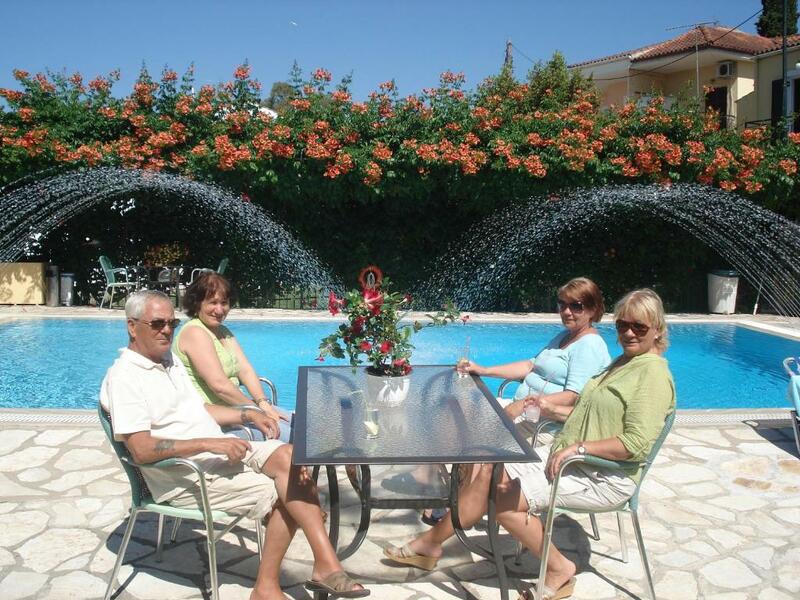 It features an outdoor pool with sun loungers and free Wi-Fi. 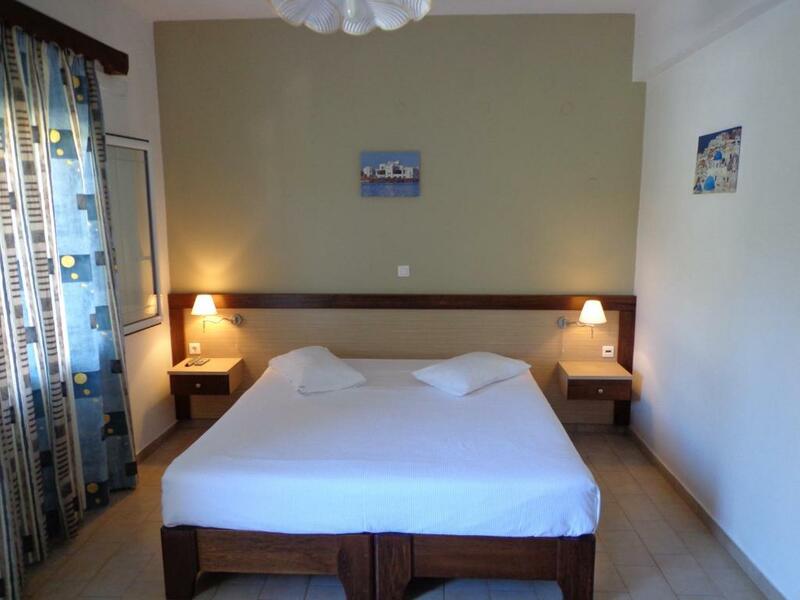 Kalypso has spacious studios with wooden furniture and tiled floors. Each of the air-conditioned studios offers a kitchenette with cooking hobs and a mini fridge. The Corfu Town is 4.3 mi away, and the hotel offers free private parking on site. The center of Gouvia is 1,300 feet away. This property also has one of the top-rated locations in Gouvia! Guests are happier about it compared to other properties in the area. This property is also rated for the best value in Gouvia! Guests are getting more for their money when compared to other properties in this city. When would you like to stay at Kalypso Gouvia? Opening to a balcony with pool views, this spacious, air-conditioned studio features a kitchenette with cooking hobs and mini fridge. Please note that the 3rd guest will be accommodated in an roll-away bed. House Rules Kalypso Gouvia takes special requests – add in the next step! Children 4 and older are allowed at this condo hotel. Kalypso Gouvia accepts these cards and reserves the right to temporarily hold an amount prior to arrival. Please note that the name of the credit card holder and the booker has to be the same. Please inform Kalypso Gouvia of your expected arrival time in advance. You can use the Special Requests box when booking, or contact the property directly using the contact details in your confirmation. Slight road noise but really not a problem. Would have been nice if we had been able to buy drinks/food around pool area, but there are only 12 rooms so not probably worth doing. Great little taverna at the bottom of the short lane to main road. Excellent accommodation and pool was wonderful. The hosts were very attentive and often went out of their way to help. I would definitely stay there again. The location was perfect close to the airport, the bars and restaurants of Gouvia. Nice 5 min walk away from the main strip. The hotel is so clean and nice. Double bed was big and comfy. Fridge tv bathroom the room was spacious with everything you would need and we got an iron and ironing board when we asked. The owners couldn't be more friendly. They arranged taxis and even spotted I had left my shoes in our room when we checked out and brought them to the airport for us! Amazing!! Couldn't fault it for a romantic week away I had with my partner. Oh and the pool was gourgeous and lots of sunbeds and space by the pool! Book this hotel now!!! The room was bright and extremely clean and the owner made an extra step by getting the bus tickets ready for me to go town . I was made very welcome by the owners who were always available for anything you may ask for as a guest . Amazing owners . Would have liked some washing up liquid and salt and pepper in the kitchen area but this is only a small gripe. The shower was a little tricky to manouvre without soaking the whole bathroom but we got the hang of it. Basic facilities but unbelievable for the price. Above everything the value for money was exceptional. The kindness and respectful manner of the hosts was lovely. A family run business taking pride in their little haven and providing a lovely relaxing experience with everything we needed. The pool was beautifully clean and the apartments also. A small bakers just footsteps away provided tempting fresh bread and pastries daily, supermarkets within easy walking distance and the bus into Corfu town on the doorstep. The restaurants and bars were ten minutes walk away and there was something for everyone. A lovely holiday.